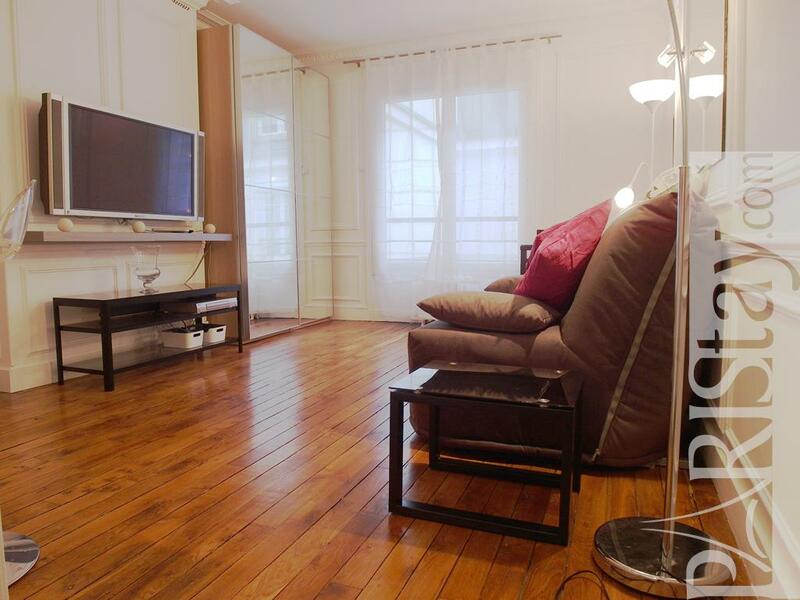 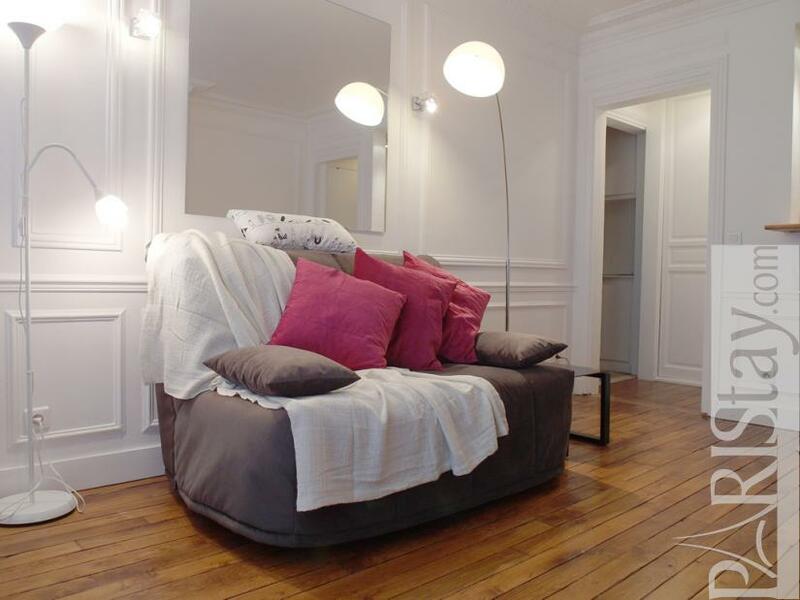 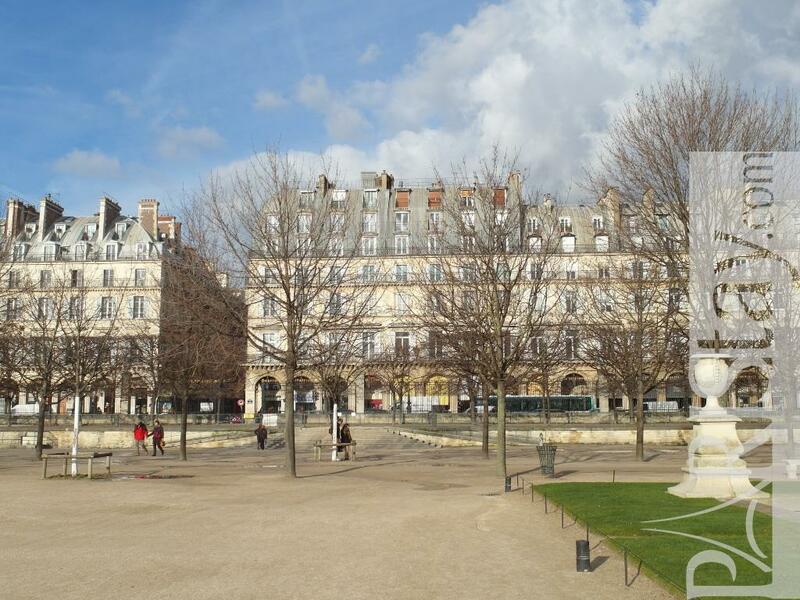 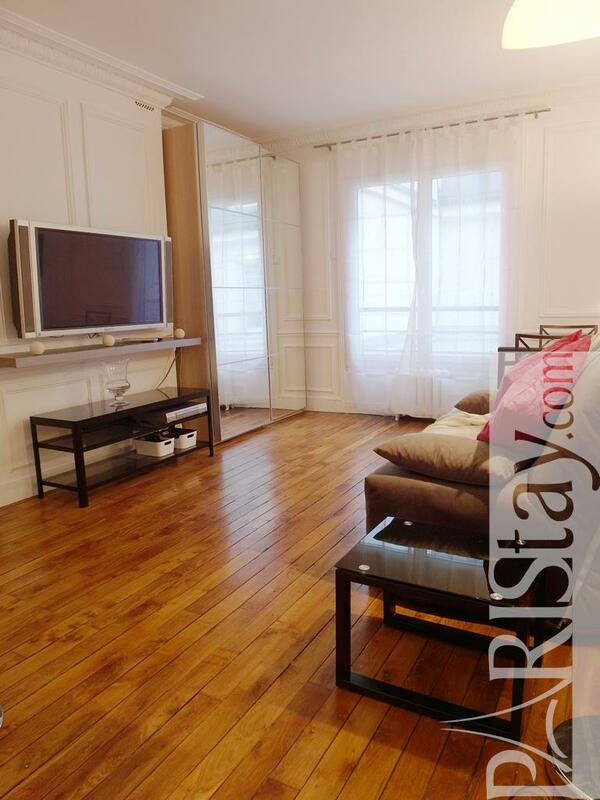 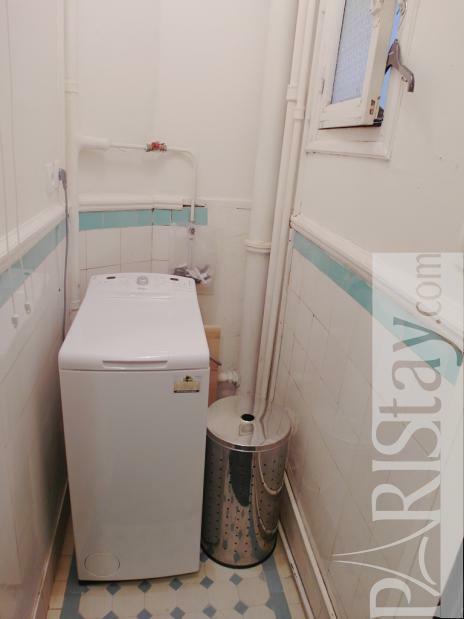 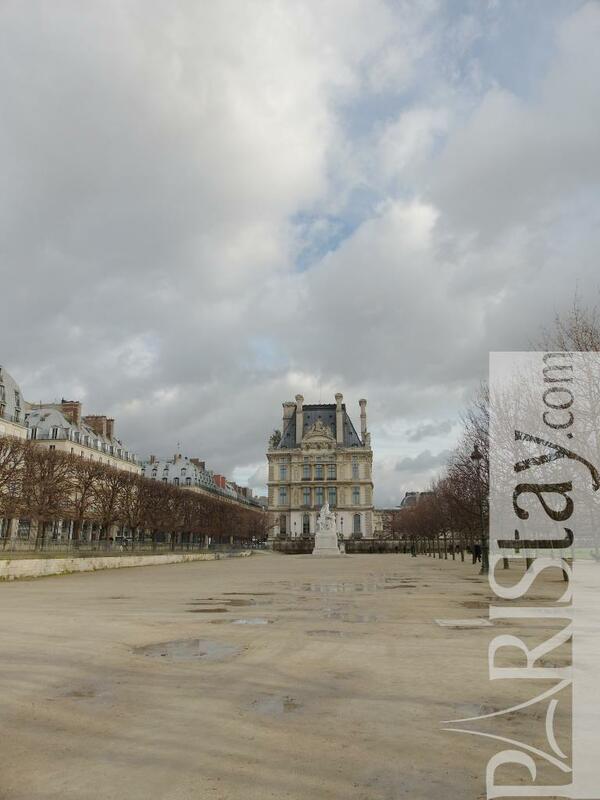 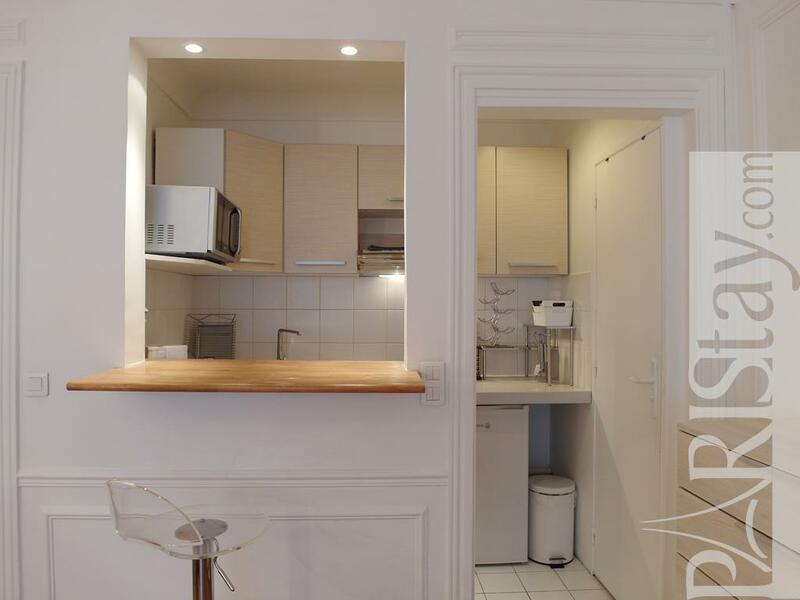 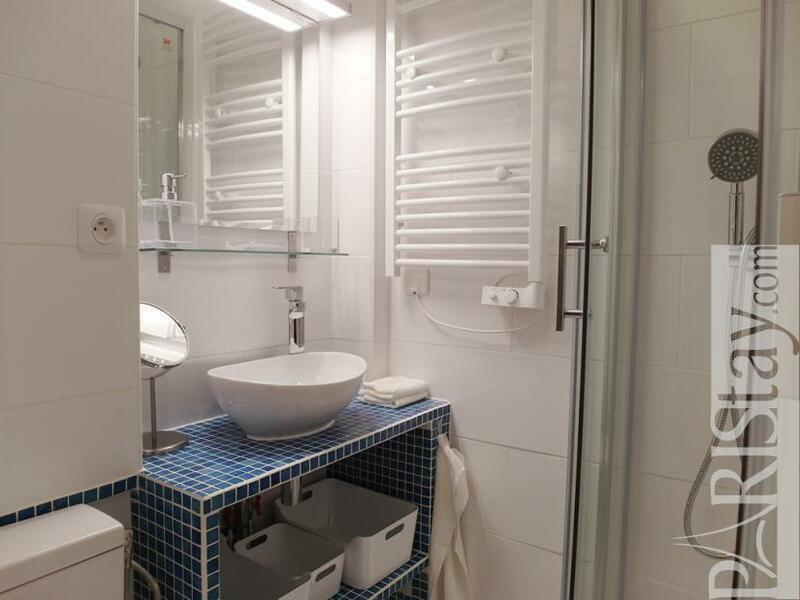 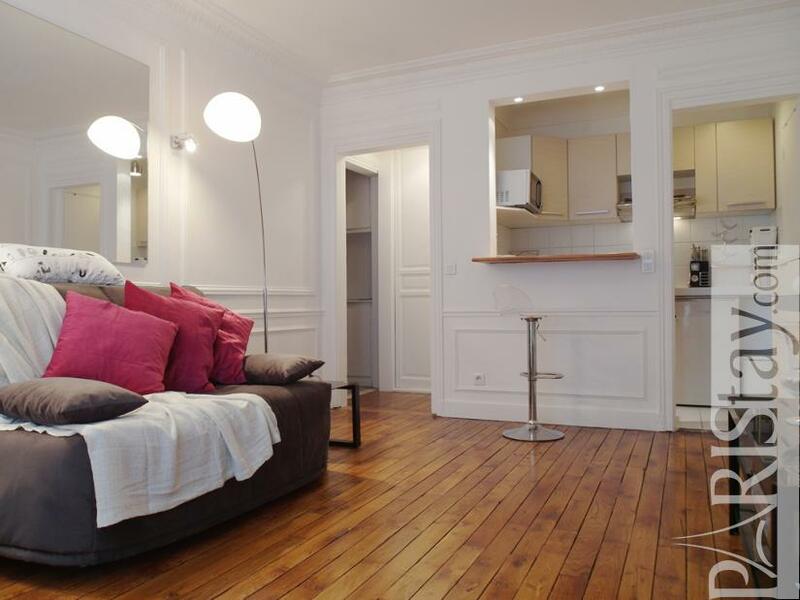 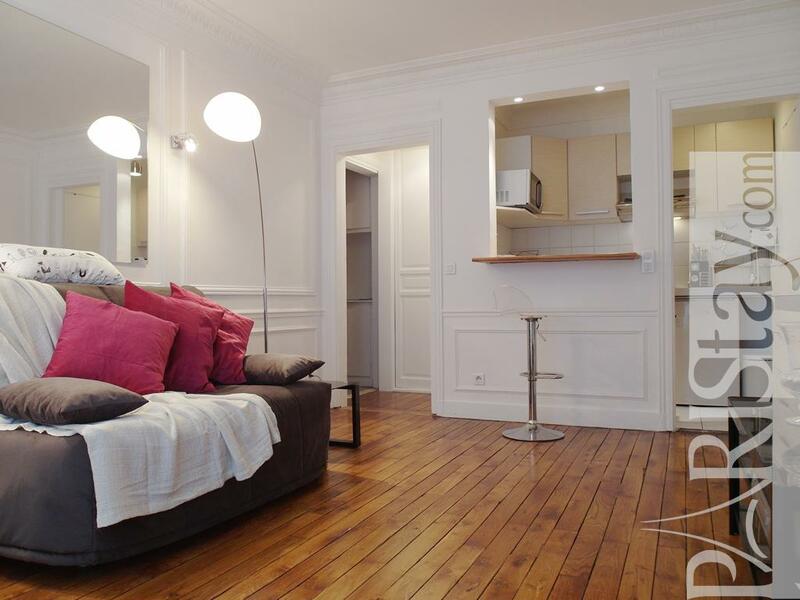 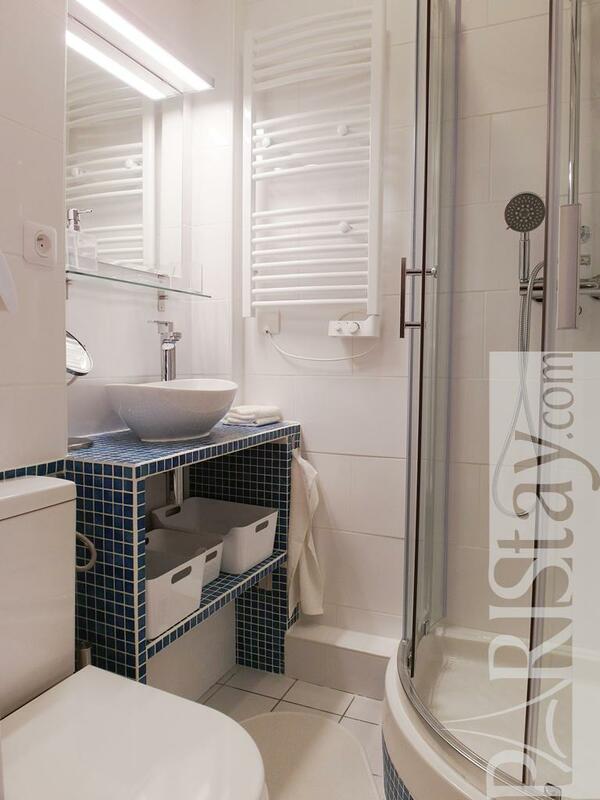 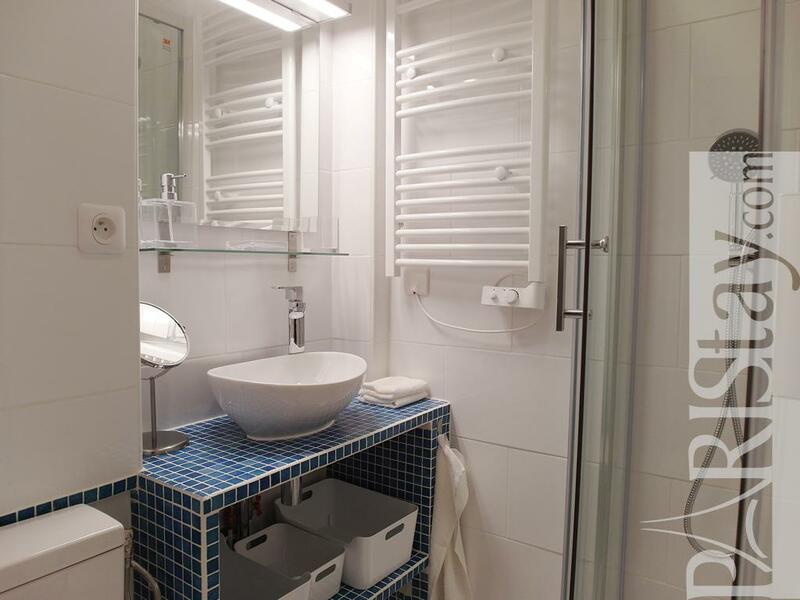 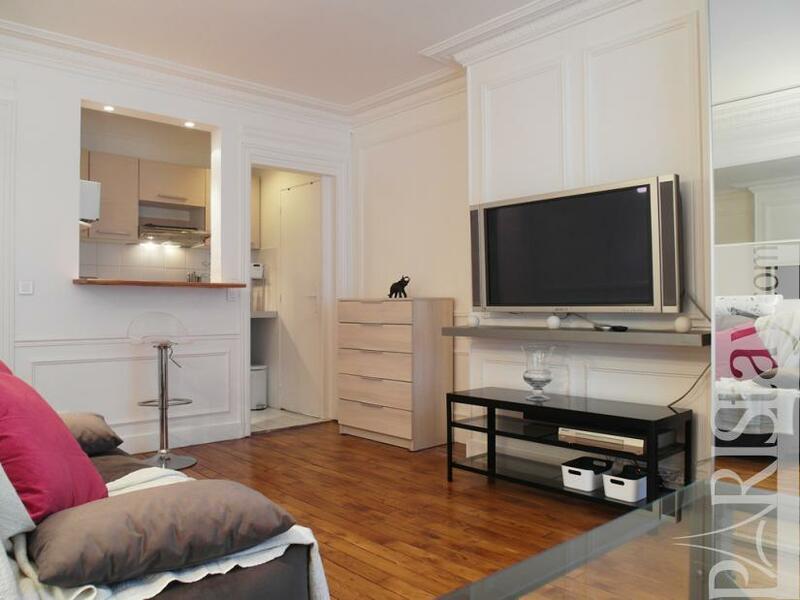 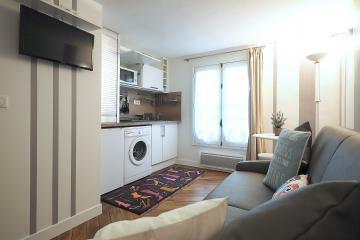 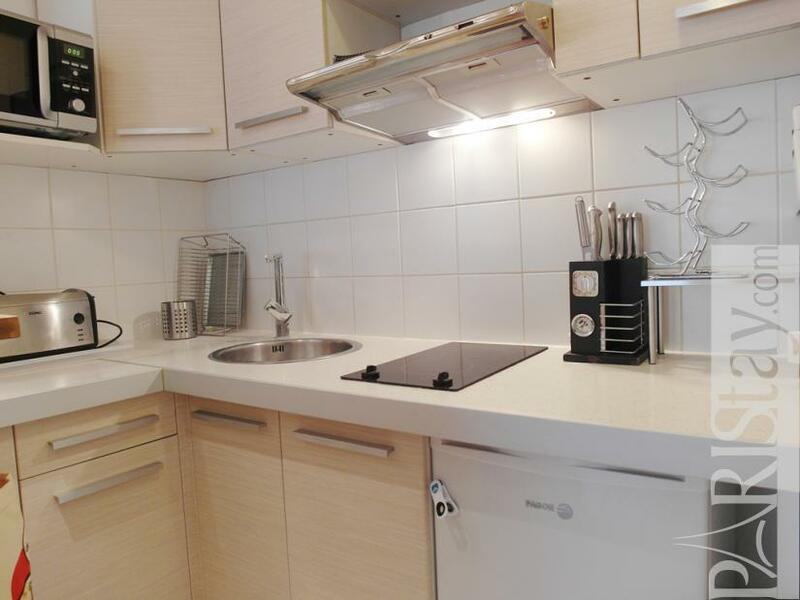 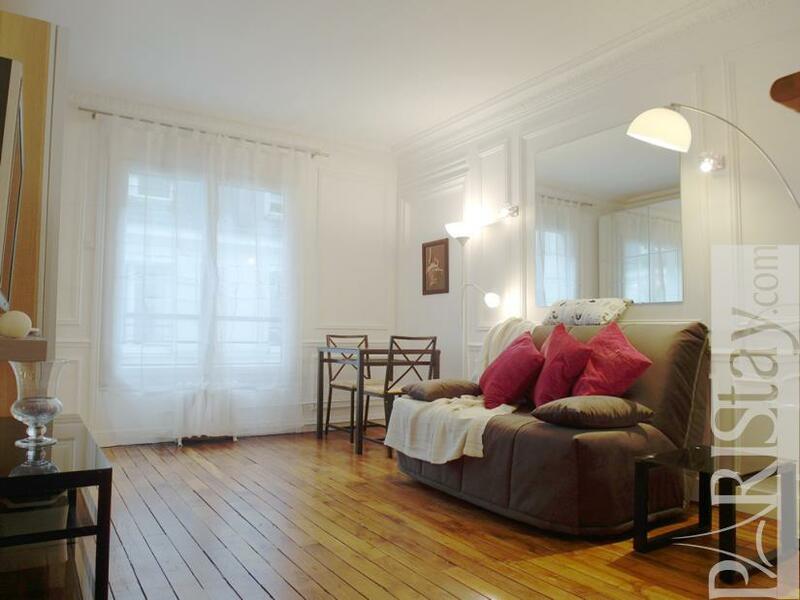 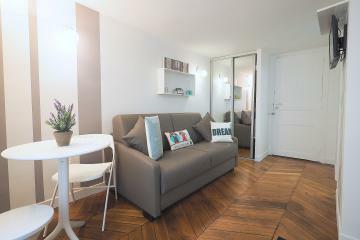 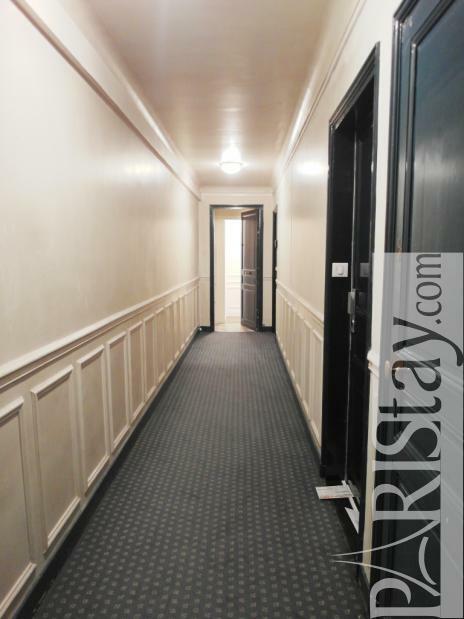 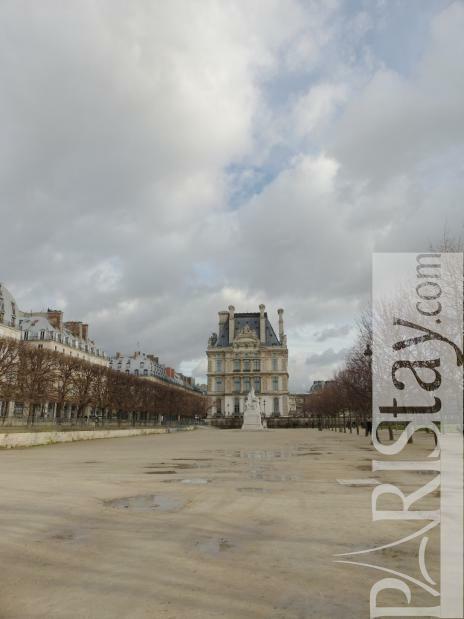 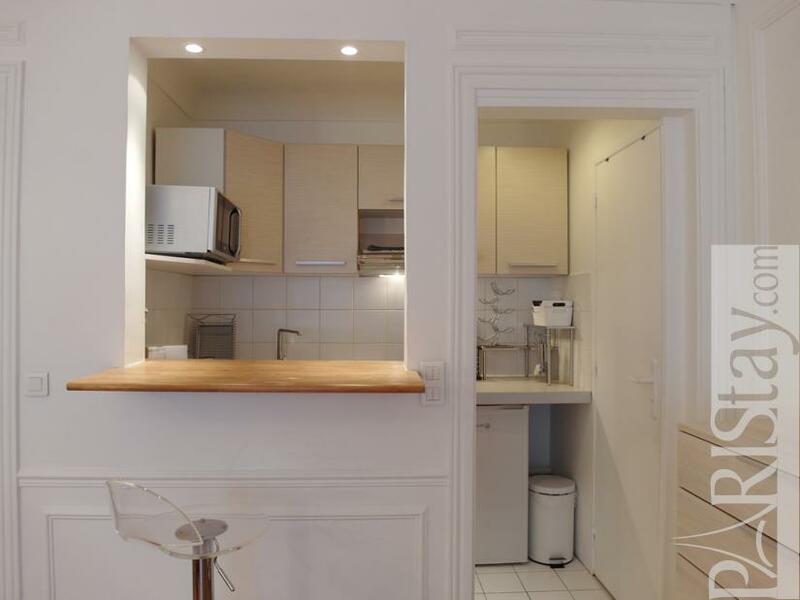 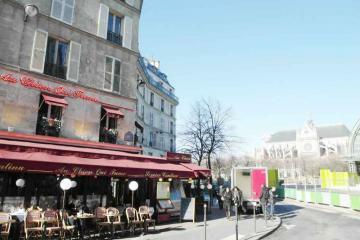 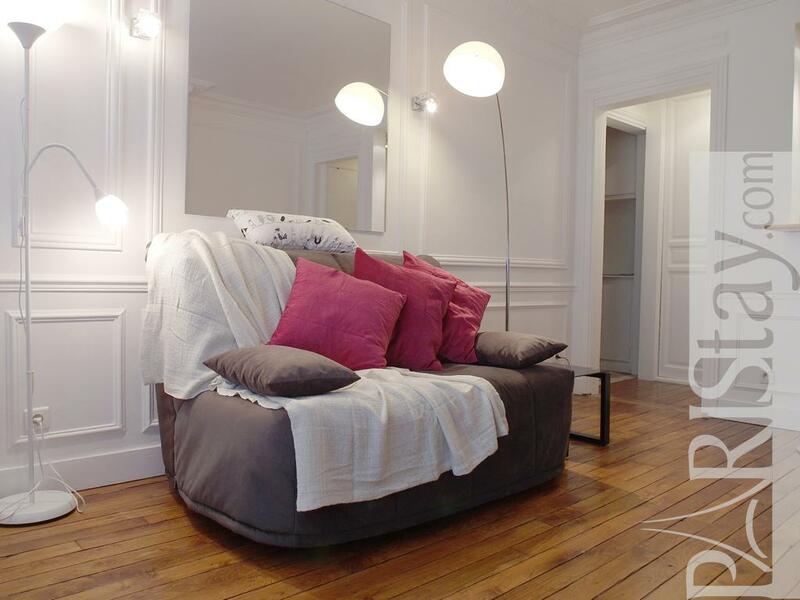 Charming studio apartment rental perfectly located in the heart of Paris at Louvre museum. 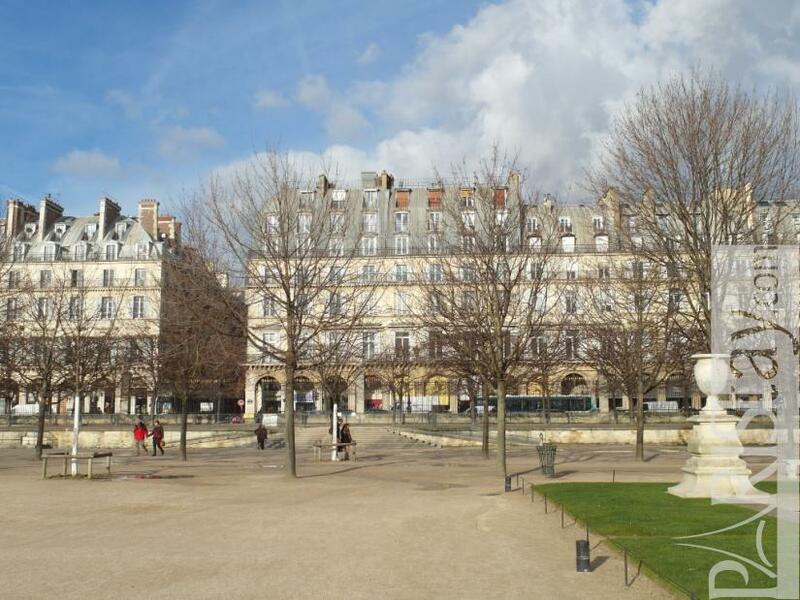 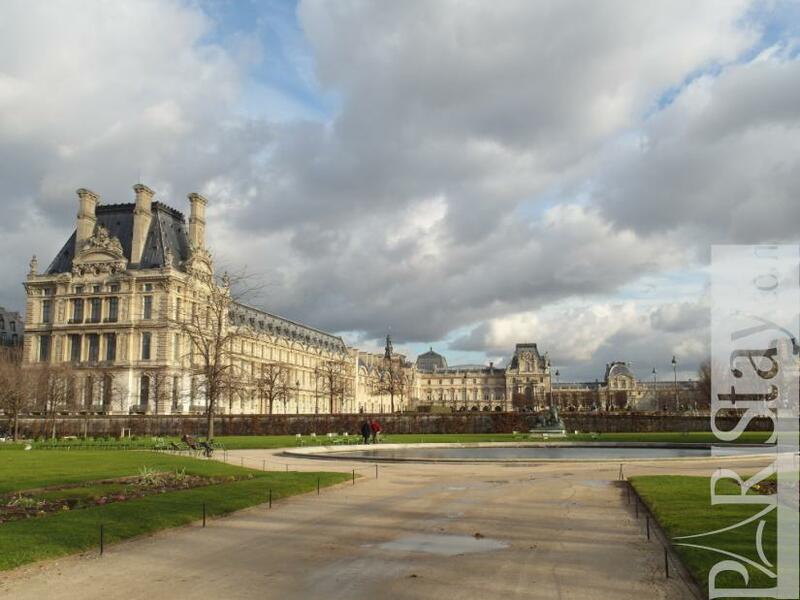 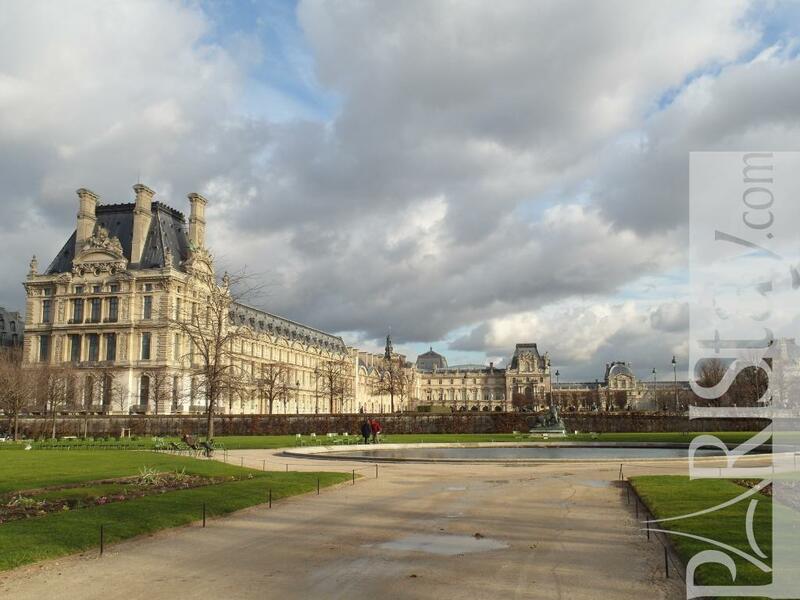 The building that faces the Jardins des Tuileries from the Rue de Rivoli, was the Hotel Wagram, a famous parisian palace until the 2nd world war. 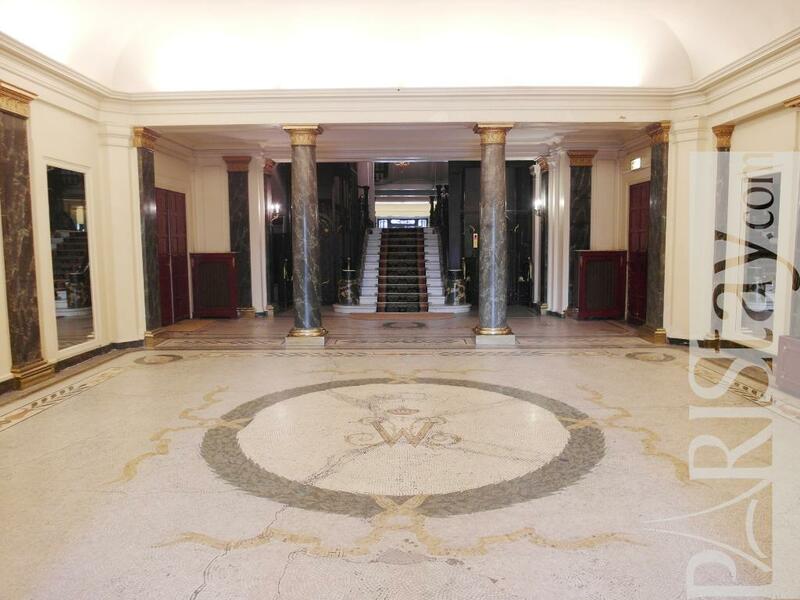 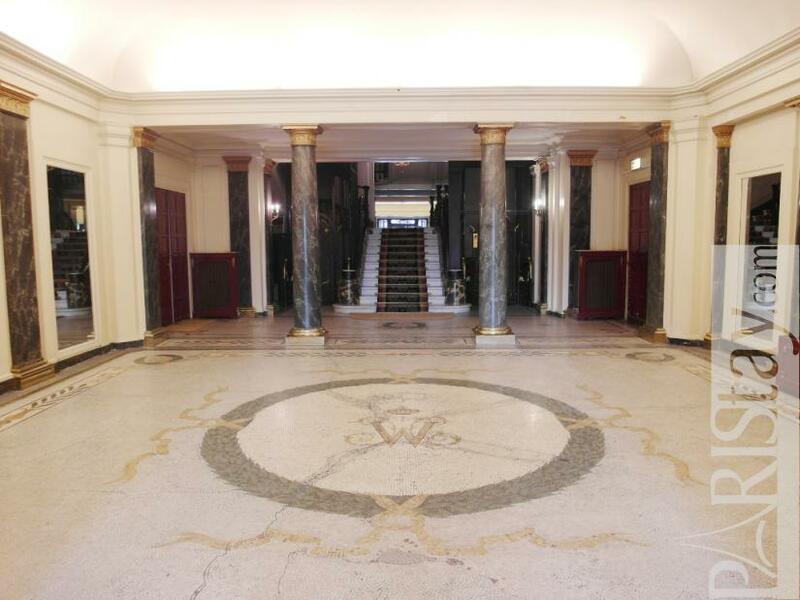 Let's cross today the beautiful lobby that has been preserved, choose one of the 2 lifts and goes to the 5th floor. 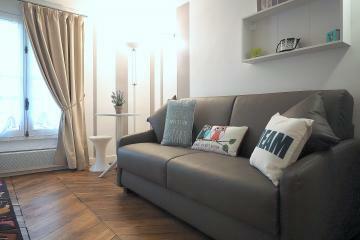 The apartmenthas been totally renovated and decorated in a contemporary spirit. 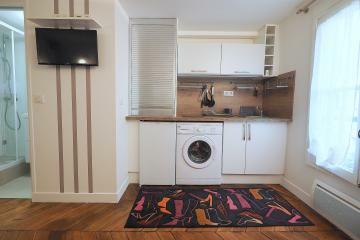 It is bright, convenient and offers everything needed for a short term or a long term rental in Paris, We love the romantic atmosphere of this famous building, the astonishing lobby, the volumes and plan of the apartment, that allow to welcome up to 2 persons comfortably, Please note there is a private cellar in the corridor with a washing machine.Enjoy your stay in Paris. 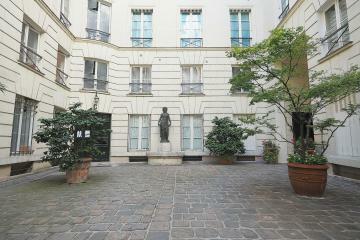 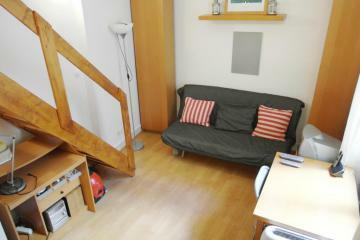 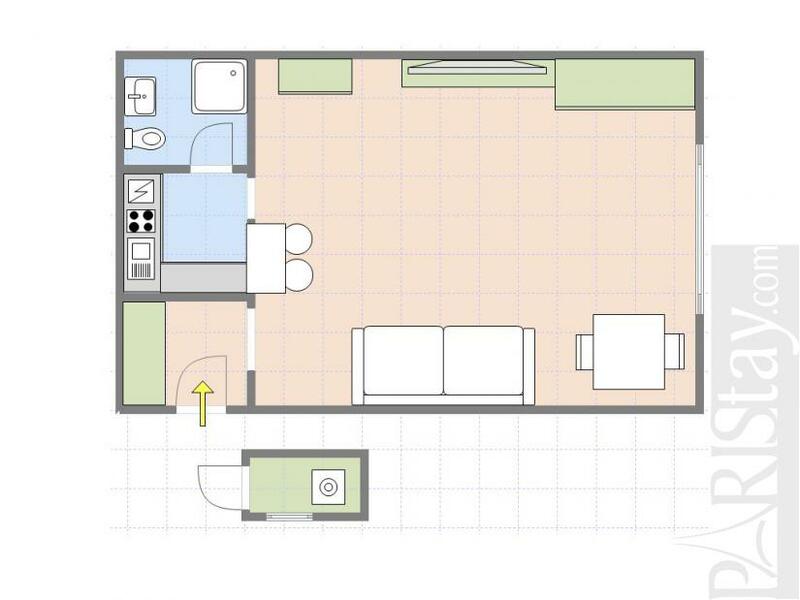 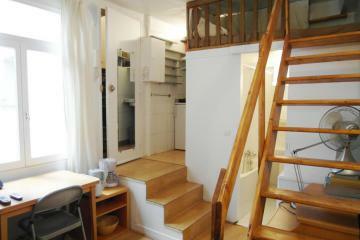 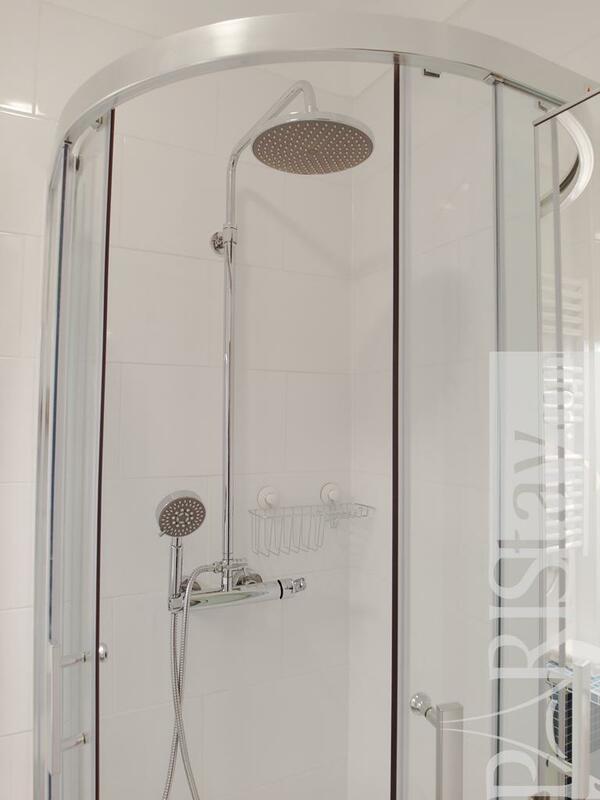 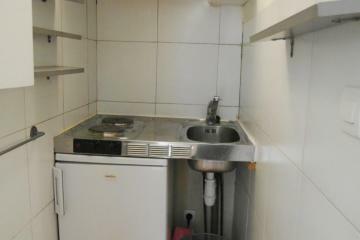 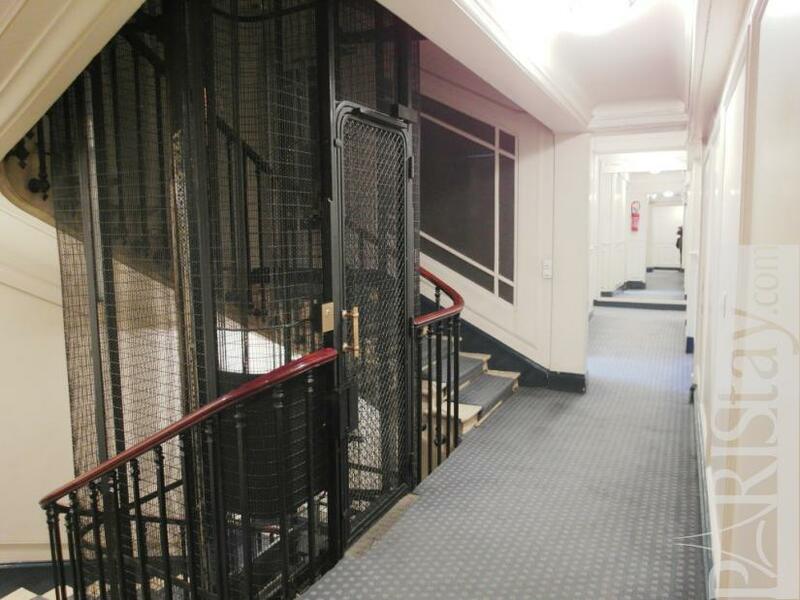 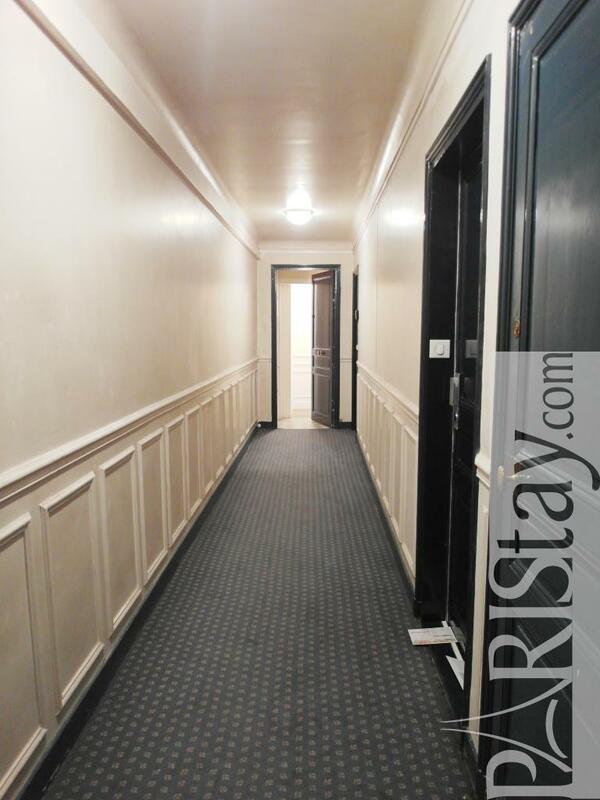 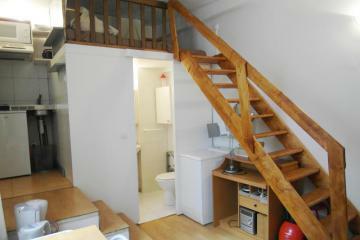 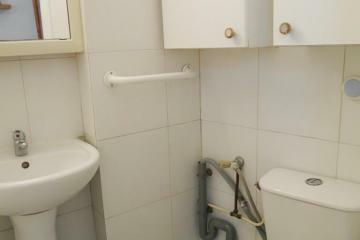 1830's Building, 5 rd floor, with Lift, entry code security system, Studio Appartement, furnished, Approx: 26m² / 280 Sq.Ft.